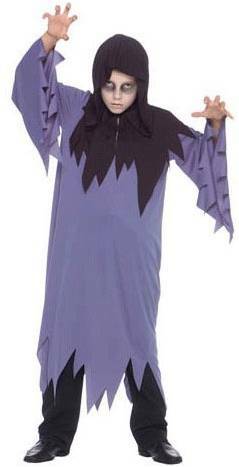 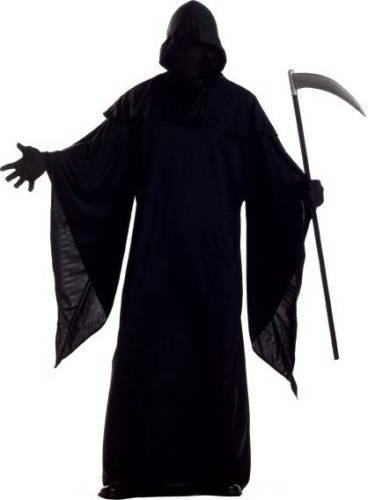 Great scary costume for men and women. 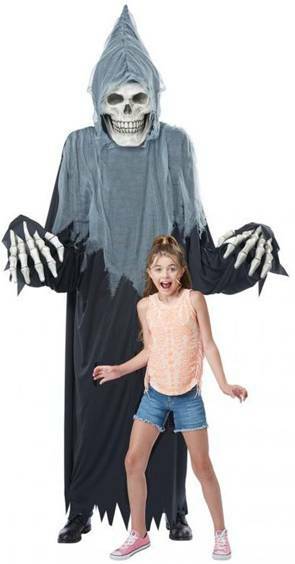 It is a Creature Reacher style oversized costume that includes a robe, shoulder inflatablepiece, mask and hands. 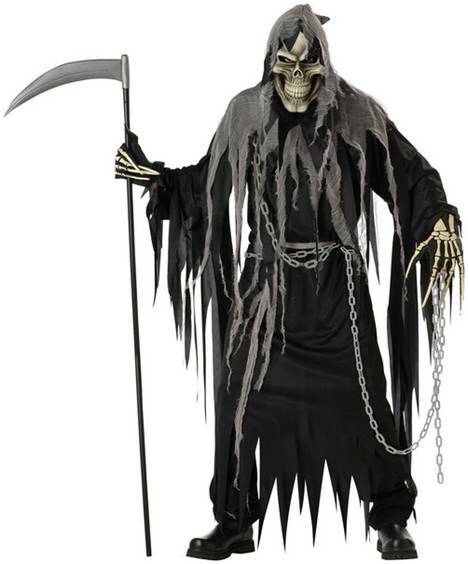 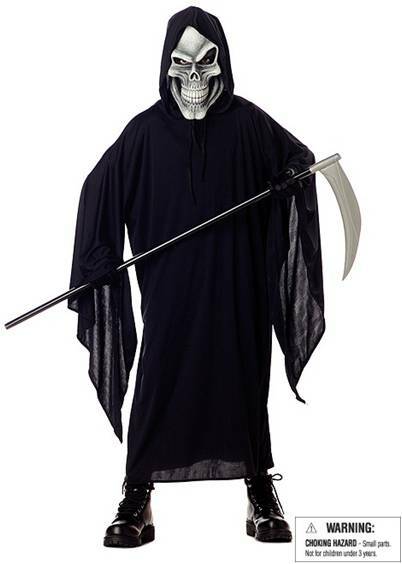 Could be used as a grim reaper, skeleton, skeleton reaper, zombie, ghost, spirit or monster costume. 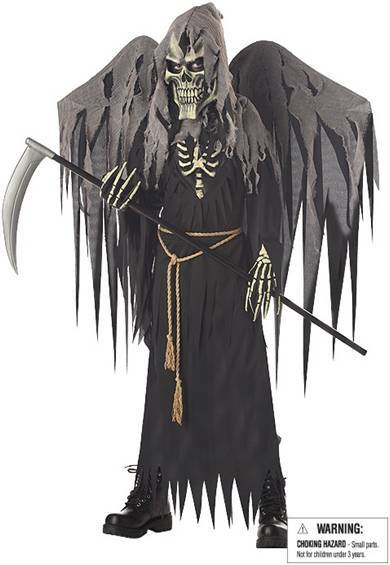 May also be converted to Halloween decor. 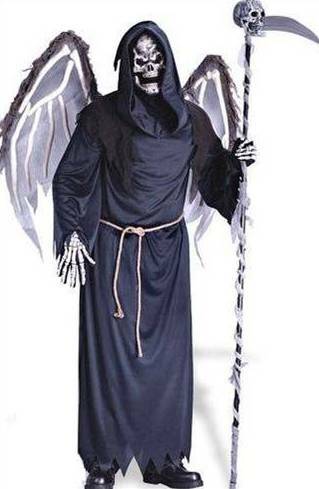 Includes mask, gloves, wings, hood and robe. 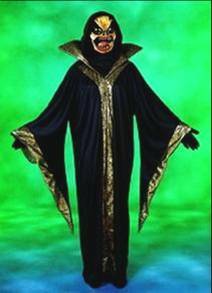 Includes robe, waist tie, and mask. 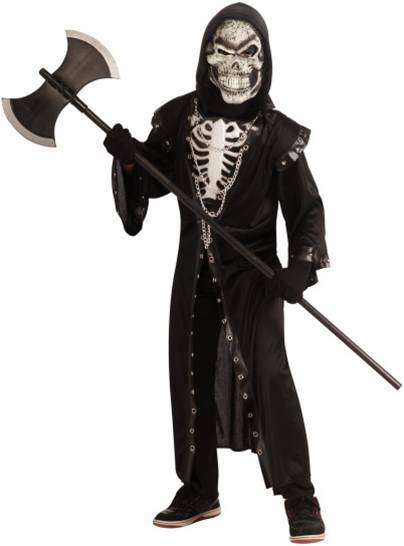 Includes robe with chestpiece and hood and skull mask. 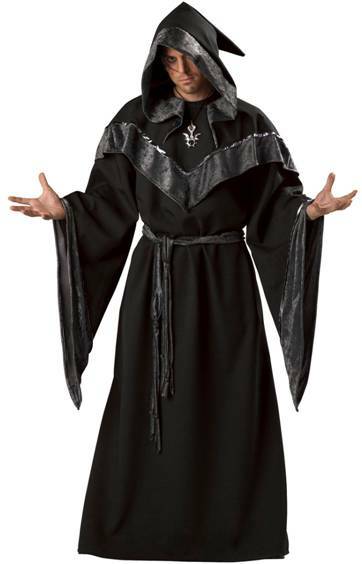 Robe with hood and sash. 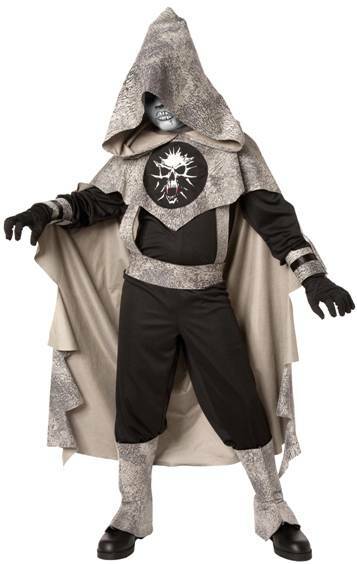 Includes robe, mask, hood, cuffs, belt and cuff chains. 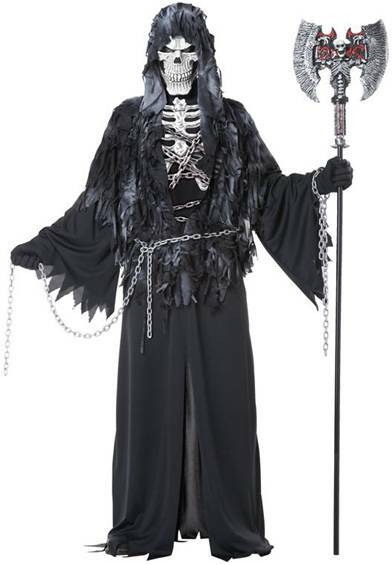 Includes robe, mask, hood, and cuff chains. 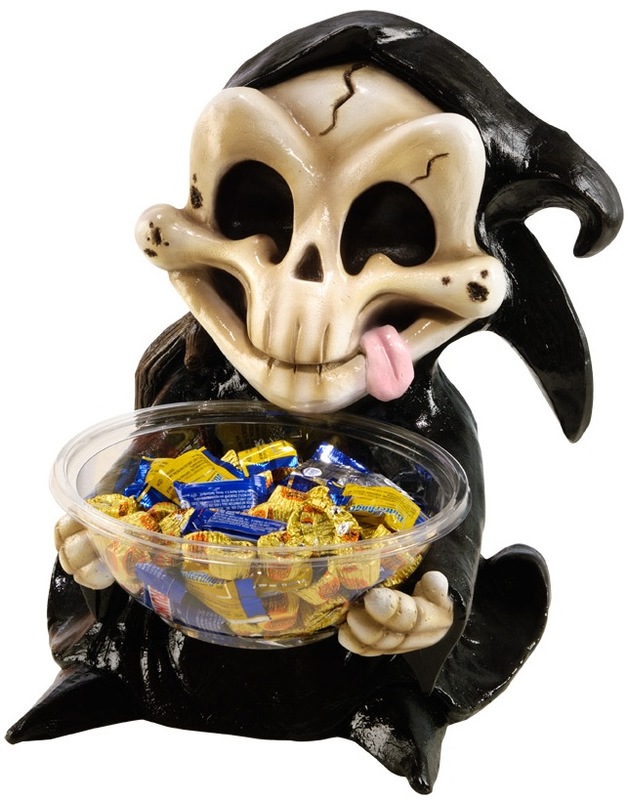 Includes Grim Reaper Skeleton Candy Bowl. 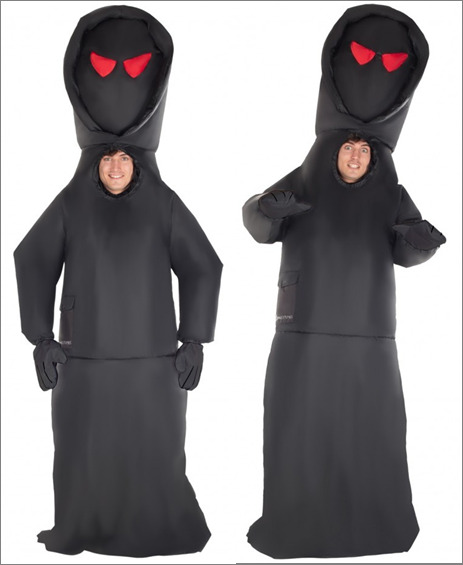 Includes robe with hood. 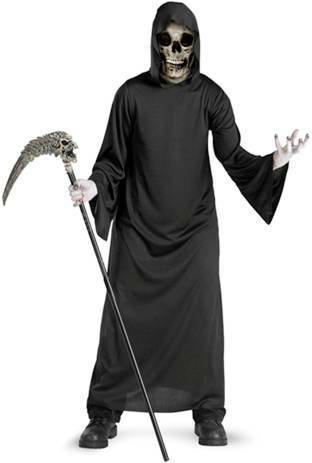 Great economy costume. 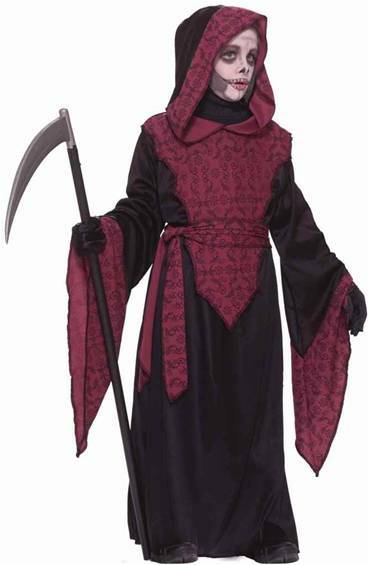 Includes quality robe with hood and tear away face cover. 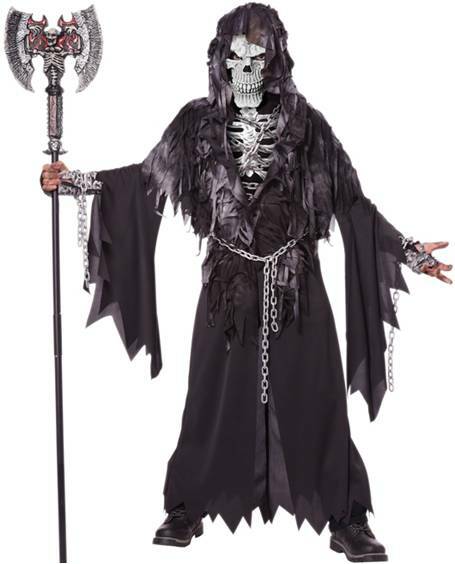 Includes robe, mask, hood, hands and chains. 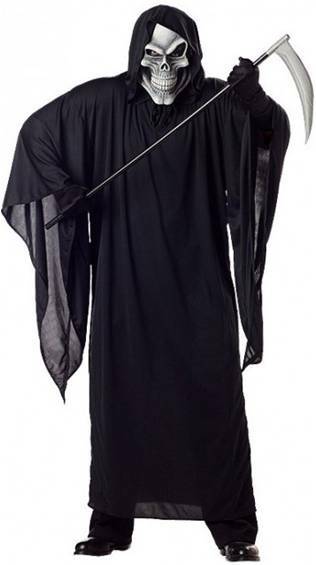 Includes bodysuit and hooded cape. 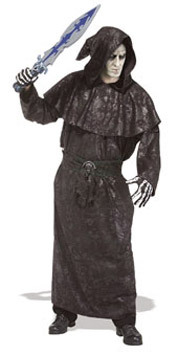 Includes hooded robe with mask. 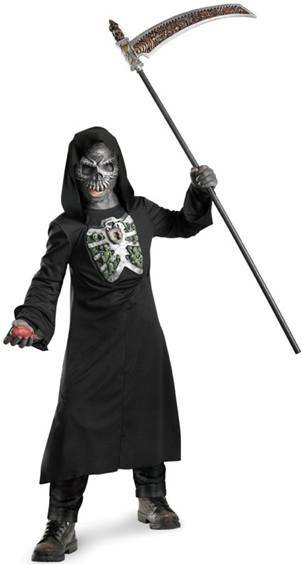 Includes mask and robe with attached pump for chest pump action. 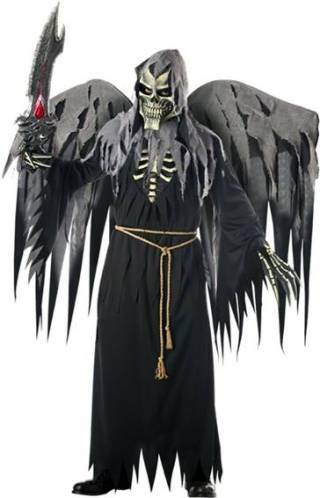 Includes robe, wings, mask and hood.